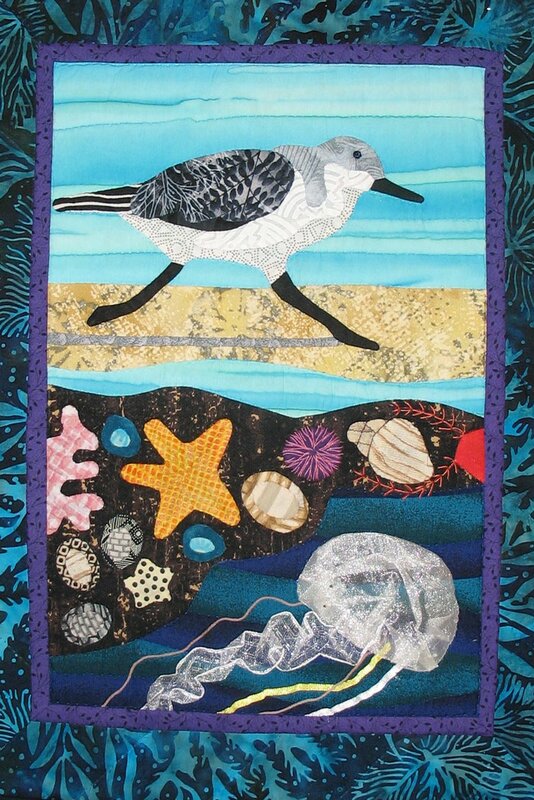 Come play at the beach this summer – the appliqué beach-- and learn all about hand appliqué and while working on a 12 x 16” wallhanging of a tide pool scene featuring a shorebird, tide pool and jellyfish. I will also demonstrate how to create a pattern from a photograph so you can expand your wallhanging with other sea creatures if you wish. Beginners welcome (and I have an easier bird pattern for you). Minimum enrollment = 5. Class may be cancelled (with 100% refund) if minimum enrollment is not met. Cancellation policy: 100% refund with greater than one week (7 days) notice; 20% refund with less than 7 days notice.